WASHINGTON, October 9, 2018 — Ambassador Nikki Haley will “take a break” from public service by resigning from her position as the United States’ top U.N. envoy at the end of the year, President Trump said Tuesday morning. The sudden announcement came less than an hour after Axios broke the surprise news of her resignation. 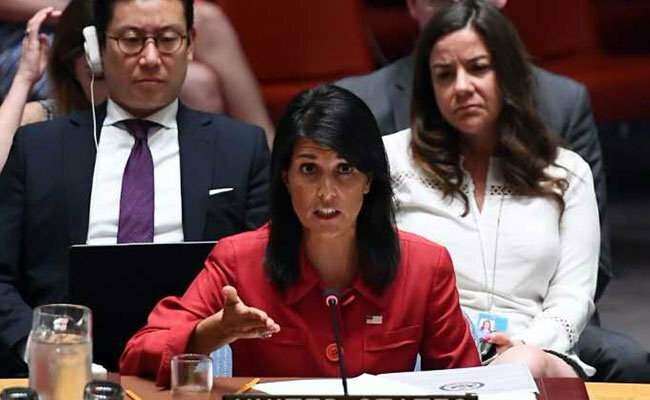 Trump’s conduct of foreign policy, Haley continued, has caused the United States to be respected again. While some pundits speculated that the timing was connected to the #MeToo-related drama over now-Justice Brett Kavanaugh’s nomination to the Supreme Court, when he and Haley appeared before cameras, Trump claimed that Haley first approached him six months ago about setting a timetable to depart before the end of the Trump administration’s second year. Haley is one of two members of the foreign policy team to have served for the entirety of Trump’s time in office. She joined the administration at a time when very few members of the Republican foreign policy establishment wanted to serve the new president, which served him just fine, as most of them had signed open letters criticizing him. As so-called moderates like former National Security Advisor H.R. McMaster and Secretary of State Rex Tillerson were forced out after clashing with Trump over his disdain for international multilateral agreements like the Iran nuclear deal, Haley remained a fixture and an oasis of stability in an administration that has seen turnover at levels unheard of at this point in a president’s first term. Even as other establishment-minded administration officials incurred Trump’s wrath for pushing back on his most extreme impulses and saw their own reputations sullied, Haley managed to thrive in her role at the U.N. Her New York-based post gave her a place in the spotlight and a chance to burnish her foreign policy credentials. 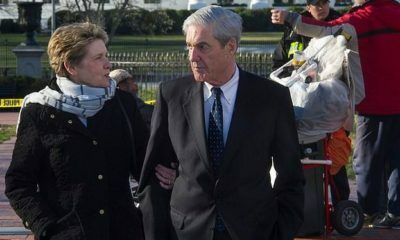 It also gave her enough geographic distance from Washington to avoid the contempt Trump developed for the members of his national security team who he saw more regularly. But that geographic distance also allowed her to put political distance between her and the president at moments when she would break from him in one way or another, including the aftermath of last year’s white nationalist riot in Charlottesville, Virginia. 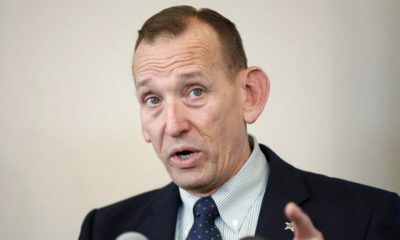 Haley’s frequent departures from the Gospel of Trump on those matters has made her the subject of endless rumors, most of which place her on the 2020 Republican primary ballot opposing her soon-to-be former boss. But Haley attempted to put a wet blanket on any such speculation by telling reporters that she’d be campaigning for Trump, not against him. “No, I’m not running in 2020,” she said. 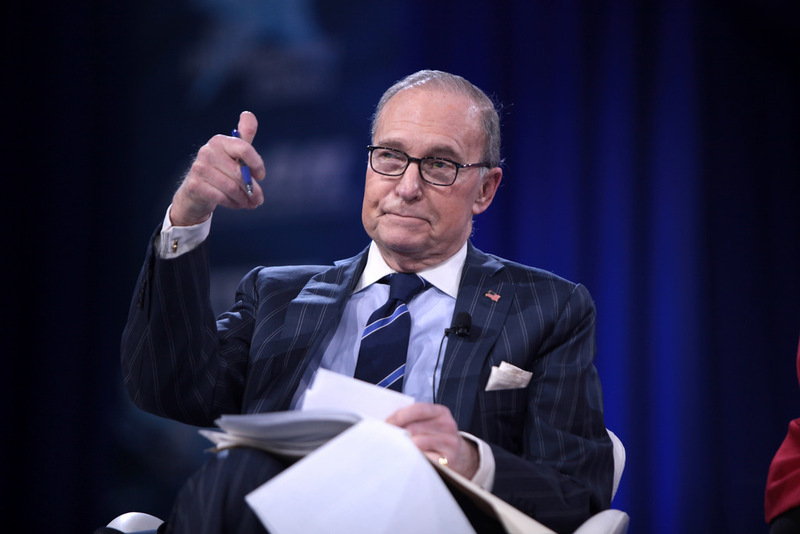 WASHINGTON, August 16, 2018 — White House National Economic Council Director Larry Kudlow said on Thursday that President Trump’s decision to subject steel imports from Turkey to a fifty percent tariff was not in any way connected to the president’s ire over the Turkish government’s treatment of Andrew Brunson, an American evangelical pastor, despite the increase occurring shortly after the Trump administration imposed sanctions in retaliation for his continued detainment on terrorism charges. Brunson, 50, had lived in Turkey for 23 years when Turkish President Recep Tayyip Erdogan’s government arrested him in the wake of a 2016 coup attempt on accusations of being a follower of Fetullah Gulen, a Turkish pastor who lives in the United States as an expatriot. Erdogan says Gulen and his movement, which Turkey considers a terrorist organization, were the masterminds behind the attempted putsch. It is believed that Erdogan’s government continues to hold Brunson as a bargaining chip to force the United States to extradite Gulen, but the Trump administration has not as yet been receptive to the idea. Despite the clear appearance of of a connection, White House Press Secretary Sarah Huckabee Sanders on Wednesday said the sanctions would be lifted if Brunson is released, but the tariffs would remain. 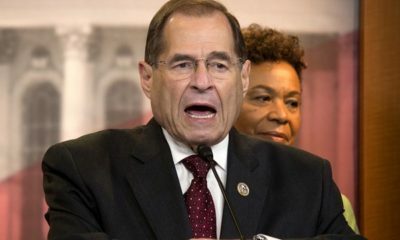 “The tariffs that are in place on steel would not be removed with the release of Pastor Brunson. The tariffs are specific to national security. The sanctions, however, that have been placed on Turkey are specific to Pastor Brunson and others that we feel are being held unfairly,” said Sanders. However, Sanders could not name a specific national security concern that prompted the tariff move. “The President has been clear about the steel and aluminum industries — steel particularly in this case — that those are industries that must be protected. And we must have the ability to reach certain levels of manufacturing of those products here in the United States for the purposes of national security,” she said. 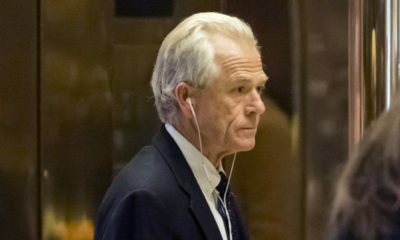 WASHINGTON, July 6, 2018 — The United States’ Ambassador to the United Kingdom says President Donald Trump is aware of the numerous protests set to greet him when he arrives in London next week, including the large balloon depicting him as a phone-toting baby set to fly over Parliament for the duration of his visit. “I think we’re all aware [of the protests],” Ambassador Robert “Woody” Johnson said Friday during a conference call with reporters. 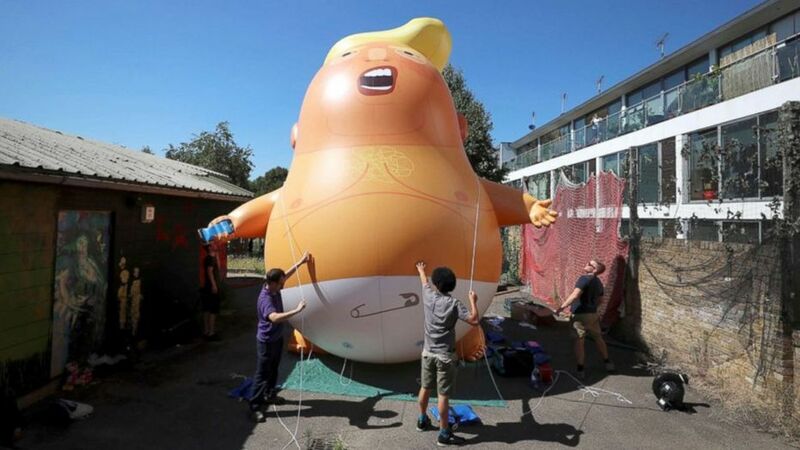 London Mayor Sadiq Khan initially denied permission for the “Trump Baby” balloon — the brainchild of a U.K.-based crowdfunding campaign — to fly over Parliament but reversed course after more than 100,000 people signed an online petition. The balloon is six meters in height and depicts the president as a diaper-clad infant holding a smartphone. President Trump, Johnson said, appreciates the value of free speech as “one of the things that bind us together” in both the U.S. and U.K., but will be “very focused” on making sure the relationship between the two countries is improved and that American prosperity and security are enhanced by this trip. The president’s reliance on helicopters to get to and from various locations around London and the UK is not out of any desire to avoid his seeing protesters, Johnson explained. Johnson also said he thinks that Trump and British Prime Minister Theresa May “are on the same page” when it comes to Russia’s malign activities, including Russia’s use of the chemical agent Novichok to poison an ex-spy and his daughter earlier this year. Residual poison left over from that attack is thought to have been what caused a British couple to be similarly stricken this past week. Trump “was very receptive to what happened” to Sergei and Yulia Skripal — the Russian father and daughter who were poisoned — and “expelled 60 spies or people or whatever you want to call them very rapidly,” he said, adding that he knew that Trump and May would be discussing the matter when they meet at Chequers, the British Prime Minister’s country retreat. However, Johnson did not address the numerous media reports which indicated that Trump was displeased with having to expel more Russian diplomats than other countries in retaliation for the poisoning or the statements made by Trump in which he downplayed Russia’s involvement or cast doubt on whether Vladimir Putin’s government was involved in the incident at all. 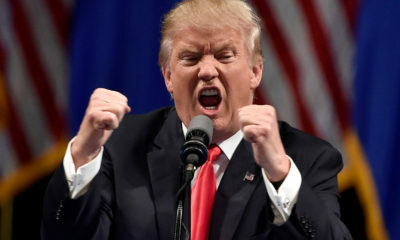 Trump has a history of downplaying or minimizing Russian malign activities dating back to his 2016 campaign for the presidency, during which he responded to a TV interview question about Putin’s history of murdering journalists by suggesting the U.S. “has a lot of killers” as well. Since taking office, Trump has repeatedly denied that Russia interfered on his behalf in the 2016 election despite reports affirming such a conclusion having been issued by the U.S. intelligence community and the U.S. Senate Select Committee on Intelligence. Trump’s refusal to acknowledge Russia’s international malfeasance also extends to its 2014 invasion of Ukraine. During an impromptu press conference last month, Trump suggested that the invasion — which was ordered by Putin — was actually the fault of then-President Barack Obama. His reluctance to criticize Russia or Putin has continued through this month. During a July 5 campaign-style rally in Montana, Trump mocked critics who suggested that he should be wary of meeting with Putin, a former KGB officer, without any advisors or note takers. 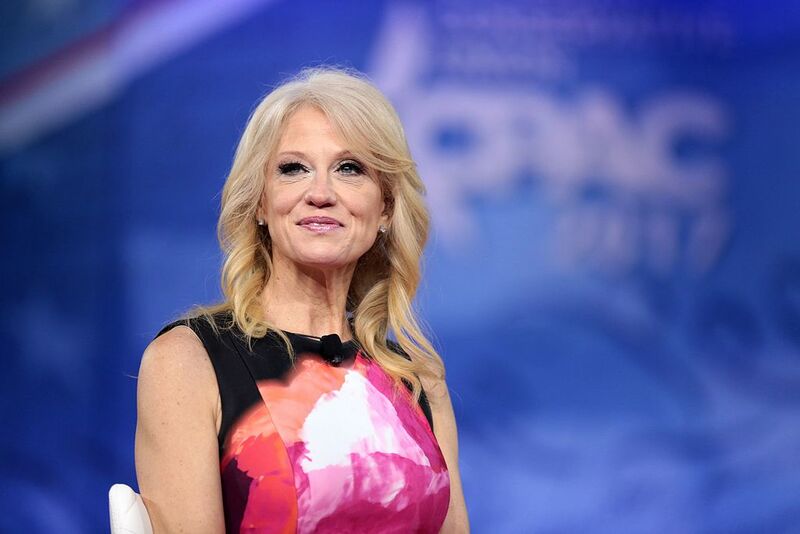 WASHINGTON, June 29, 2018 — Counselor to the President Kellyanne Conway told reporters Friday that “there’s no evidence” of President Donald Trump wanting to pull American troops out of Germany despite a Washington Post report indicating that the Pentagon is examining the cost of doing just that. “There’s no evidence of that,” Conway said after telling reporters “I will let you know” if there is any policy change regarding the military presence the United States has maintained in Germany since the end of the second world war. 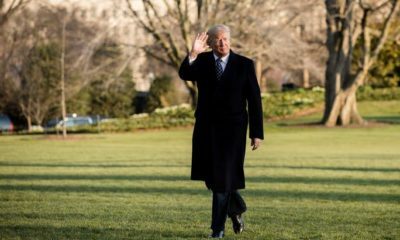 On Friday, the Washington Post reported that the Pentagon began examining the cost of pulling American troops from bases in Germany after Trump expressed interest in doing so during a meeting with White House and Pentagon officials earlier this year. Trump has often spoken negatively of the American military presence in Europe, which he says costs the U.S. millions of dollars and provides a security umbrella for which America’s European allies should be paying more. An American withdrawal from Germany would be a boost to Russian President Vladimir Putin’s ambitions to regain Russia’s Soviet-era sphere of influence. “He’s about to have his second big summit in five or six weeks time, first with the leader of North Korea, now with the leader of Russia,” Conway added, suggesting that President Trump was being more transparent than his predecessor, former President Barack Obama, because the summit was announced in advance. Conway then negatively compared this week’s announcement to when Obama was caught on a hot microphone telling Putin that he’d have more flexibility to discuss US-Russia relations after the 2012 election when any actions dealing with US-Russia relations would not be used for election-related attacks.